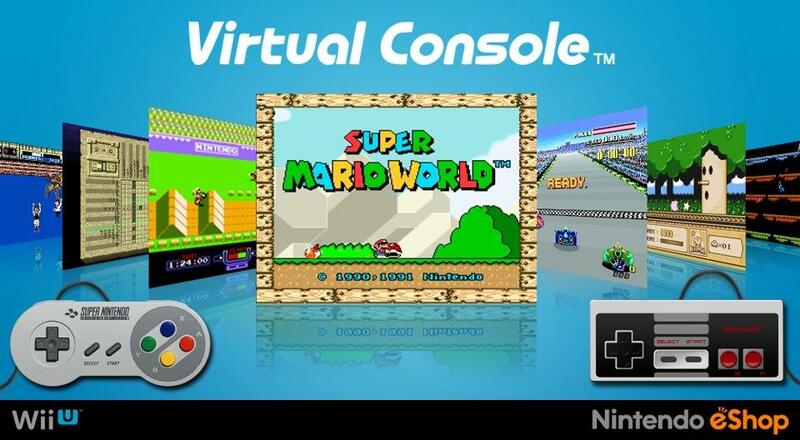 Does Nintendo Owe Switch Owners Virtual Console? The Nintendo Switch has been out for nearly eight months and still lacks the Virtual Console offerings available on the Wii U, Wii, and 3DS. I personally feel jilted that Nintendo places it so low a priority (if they even release at all) but does Nintendo owe me anything? The short answer is no. It’s their property that I simply bought a license to use on the previous consoles. There was nothing promised that I’d always have access to Super Mario Bros 3 on every future console. Last time around, Nintendo charged $1/$1.50 to bring Wii VC games to the Wii U and I assumed they would do the same now, but that hasn’t happened yet, with no guarantee of it happening in the future. The miniature NES and SNES stormed the holidays with sell-outs (or inadequate production depending on your perspective) and a nostalgic overload. The mini systems are a dead-simple way to get a NES/SNES fix of mostly the best available games. Sure you could do more with an emulator on a PC/PSP/DS/Pi but controllers and casing still cost money and the reliability is much lower. Plus, the general market for a cute throwback probably isn’t into emulating and most likely thinks Raspberry Pi sounds delicious, rather than powerful. It’s hardly a stretch to assume Nintendo views the VC as cannibalistic of their mini-console operation. Nintendo and its shareholders might view the VC as a waste of resources. Why dump money into a service that will mostly generate transfer fees of $1.50 when they could find a new way to sell the same games once again? This is the part that irks me. I’ve supported Nintendo by buying consoles and paying to play previously bought cartridges on a new system. I’m perfectly fine with that transaction and would gladly pay a higher transfer fee or even buy them outright again. Nintendo might feel they set a precedent with the transfer fee from Wii to Wii U and prefer to ignore it completely, rather than lose potential profit. While owners of the NES/SNES Classics and Switches are all Nintendo fans, they could also be very different markets. The Classics are cheap enough to be bought on a whim from lapsed gamers that remember growing up with Nintendo and want a quick blast here and there. The type of gamer that spends $400 on a Switch is most likely either not going to buy a Classic, or will simply buy both. Also, if my arguement that Switch buyers are separate from Classic-ers, then Nintendo is losing on the potential transfer-fee revenue as well. We’ve heard talk of Nintendo’s Classic Game Selection, a Netflix type subscription service that will allow access to NES games at launch, and SNES later on. In this age of streaming media it makes perfect sense to offer <1MB NES ROMs for a monthly fee. Even with the added functionality of internet multiplayer, they should still clock in at extremely small sizes compared to the HD video commonly streamed by millions. Nintendo places a premium on their software, and I’m not sure they’d give out their entire VC library for a mere $10/month. But for the inconsistent time spent going back to older games, would many stomach a constant $15-$20 for access? While I love the VC enough to rant about it, I never needed more than a handful to satisfy my craving. Nintendo quietly added GameCube controller support in their most recent update. Could this be an obvious clue pointing to the debut of GameCube VC games? It seems likely but at this point we can only speculate and I’m nearly out of speculation. Gamers that grew up in the GameCube era are now old enough to buy Switches of their own and this could be a huge selling point. Nintendo has stayed quiet about the future of the VC, with Reggie Fils-Aime politicking his way around any questions. However they’re going about it, most Switch owners just want any kind of solution soon. The way they’ve gone about it though, I’m starting to doubt whether even Nintendo knows what’s coming.